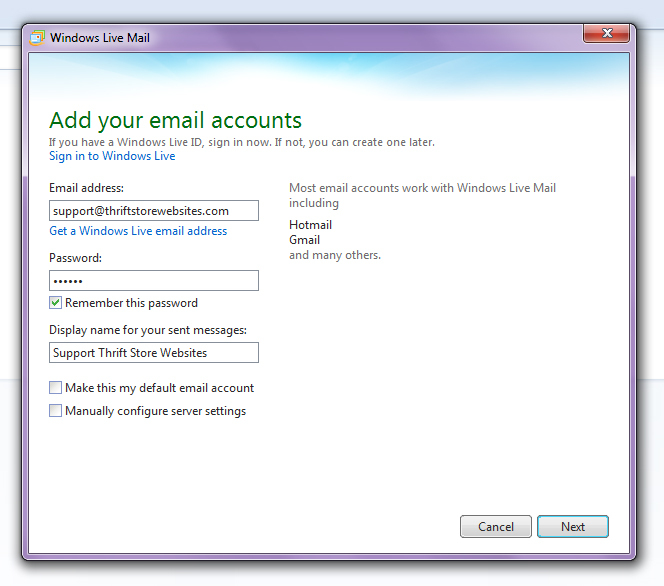 Once you have your emails set up, you can set it up in Windows Live Mail to collect your emails. Click on Add an Email Button. Fill in the information below. Where it says support, put your email and where it says thriftstorewebsites put your website address. Put in your password and check the box to save the password if you would like it to save. Click on Next. 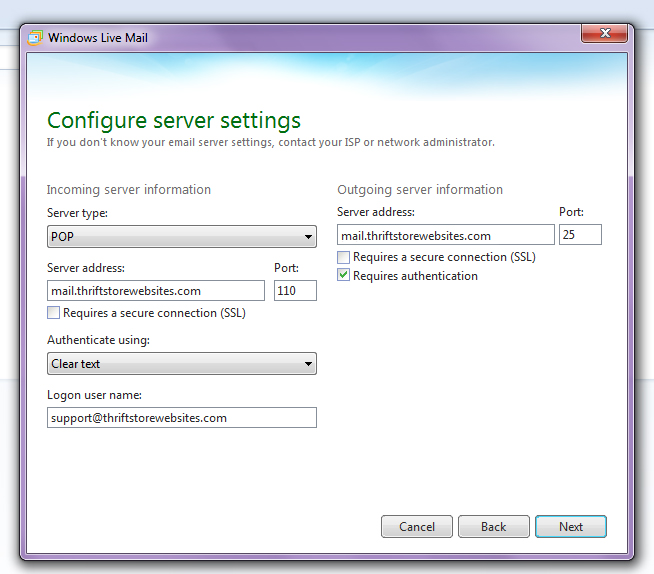 Outgoing server information will be: mail.yoursite.com and check the Requires authentication box. When you are done, click on Next and you are all done!